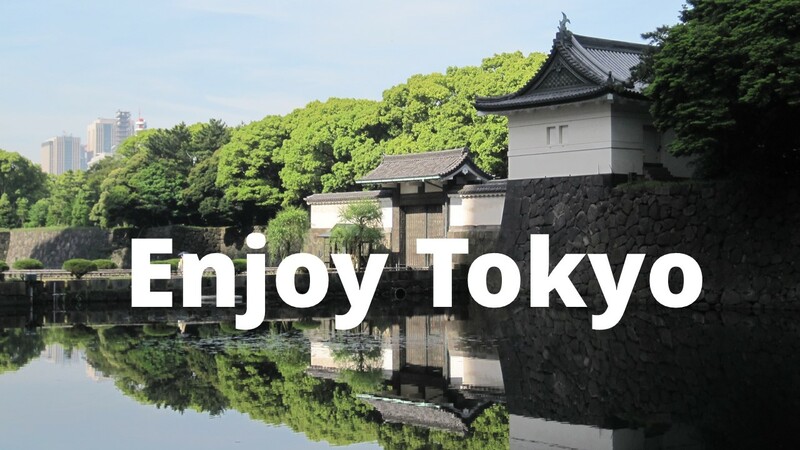 You may have visited the Meiji Shrine near JR Harajuku Station. 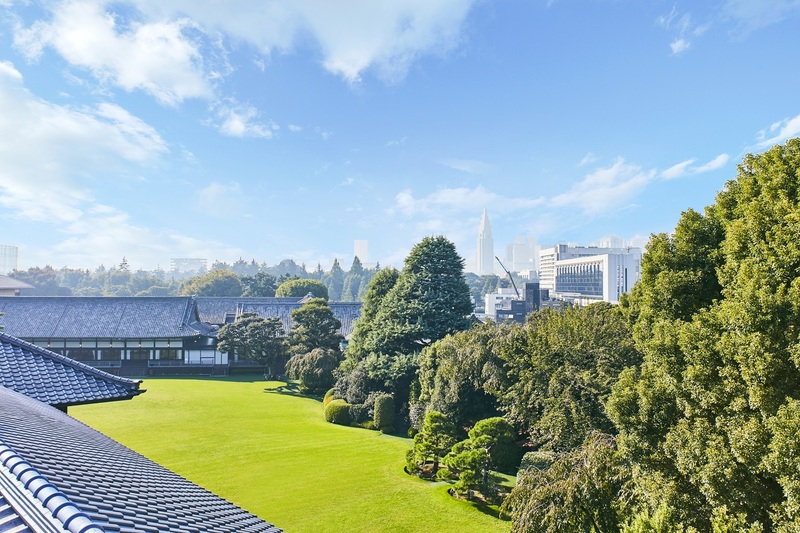 But did you know that the shrine runs a wedding complex, opened in 1947, near Akasaka Palace? 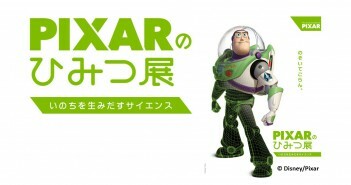 The complex Meiji Kinenkan (the Meiji Memorial Hall) is holding an exhibition to mark its 70th anniversary this year (at the main building, admission free). 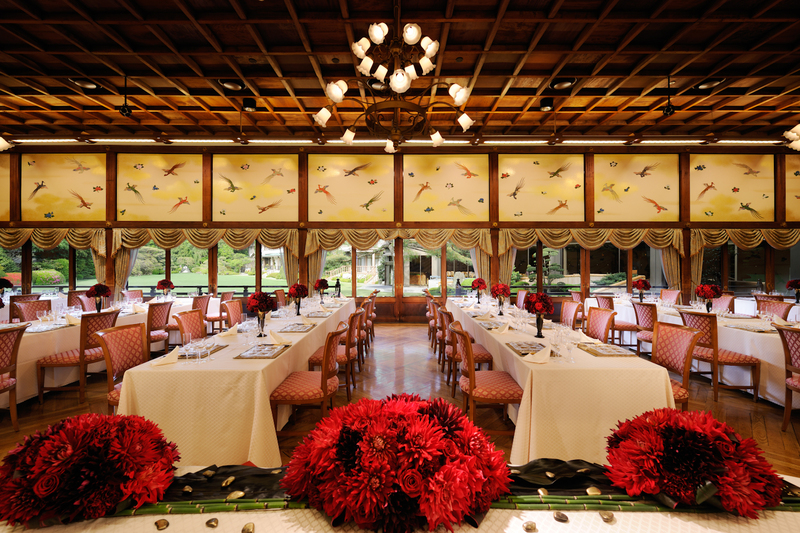 It sheds light on the imperial dining of the Meiji era, from the end of the 19th century to the early 20th century. During the exhibition, visitors may taste a dish and a desert from that period, to be served at the historical hall with splendid interiors. The Meiji Kinenkan’s main building (today housing banquet rooms and a lounge) was built in 1881 as an annex of Akasaka Palace, which was the temporary palace of Emperor Meiji. 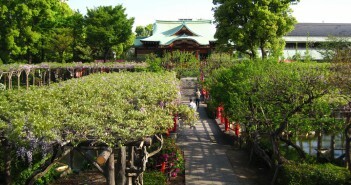 The building was used as the dining hall of the first emperor of modern Japan. Apart from the rituals presided by the emperor, the imperial banquets were held here for foreign dignitaries. At that time, the revision of unequal treaties with Western powers was of the utmost political importance. 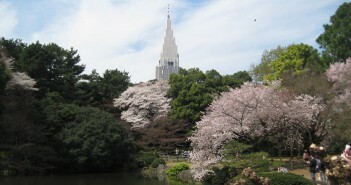 It is also at this venue that several meetings of drafting the 1889 Meiji Constitution took place. 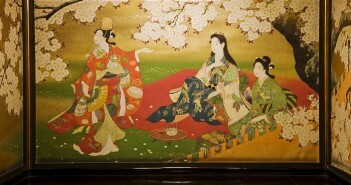 The exhibition features 29 selected items to highlight the imperial dining of the Meiji period. 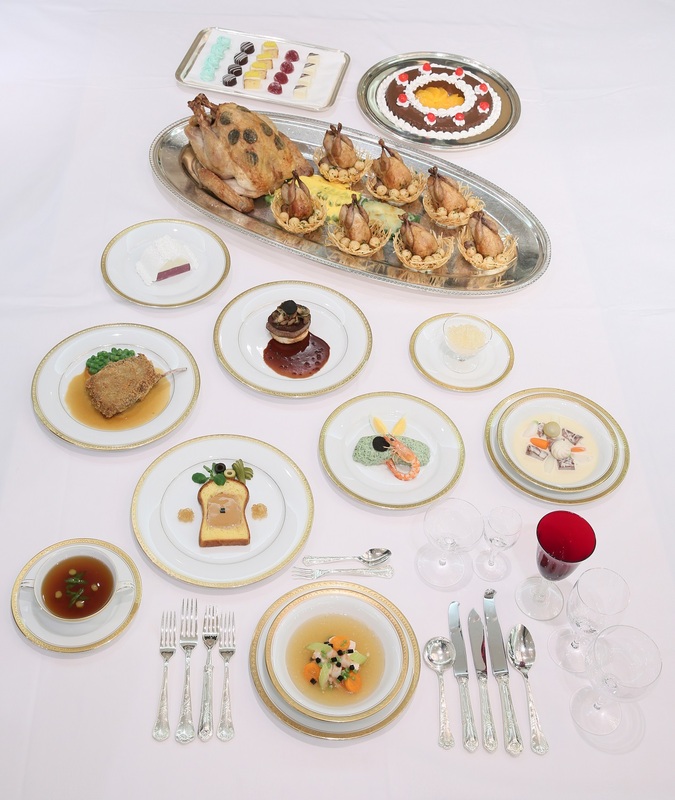 Among them is the menu of an official dinner, from the collection of Tokuzo Akiyama (1888 – 1974) who served as the chef at the Imperial Palace. 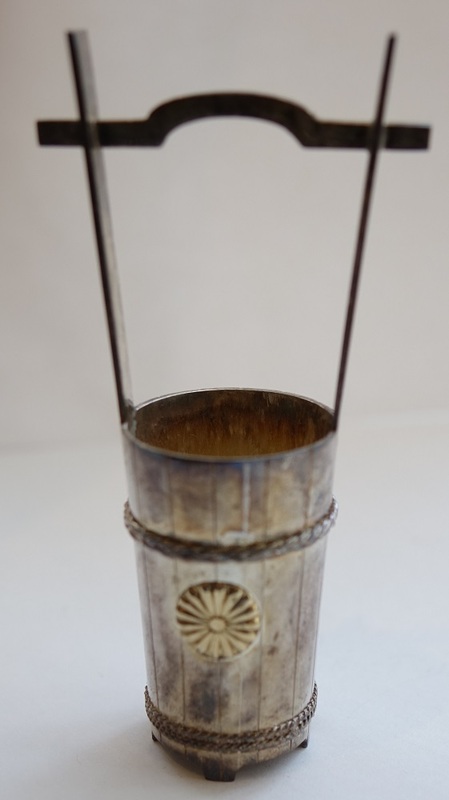 Also on display are a replica of dinner dishes for Emperor Meiji and Empress Shoken, as well as an example of fine Japanese crafts, called “bonbonnières”, given to the dinner guests as a souvenir. 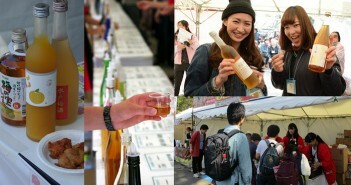 Visitors may taste historical dishes during the exhibition period at Lounge Kinkei in the main building. 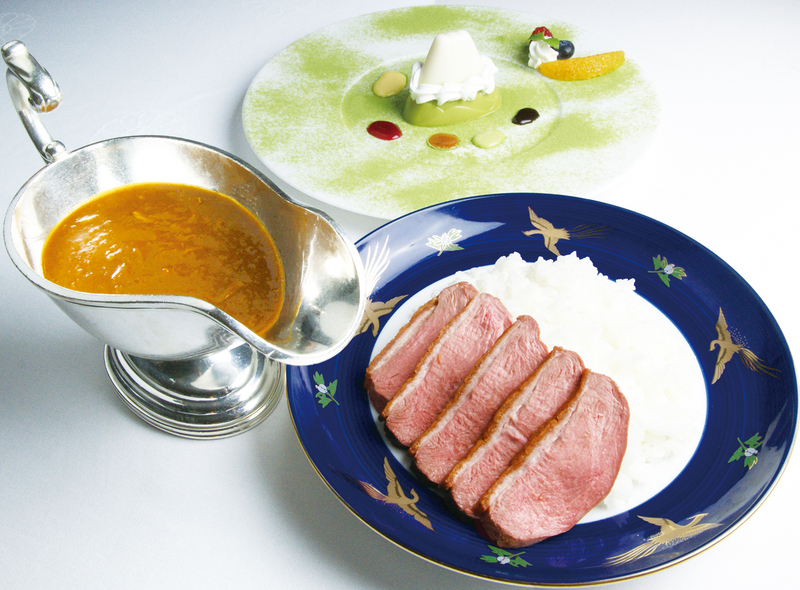 Duck curry is a menu that was served to Emperor Meiji and his distinguished guests. This rich, spicy dish with duck meat is reproduced for the first time in 133 years, under the supervision of Meiji Kinenkan’s chef of Western cuisine, and based on the historical documents. Mount Fuji ice cream is a desert still served today to foreign guests at the imperial dinners. Smooth vanilla ice cream, to represent a snow cap, tops Mount Fuji made of matcha ice cream. A sauce of chocolate, pistachio, caramel, raspberry and vanilla, symbolizing Fuji Five Lakes, adds aromatic notes to it.